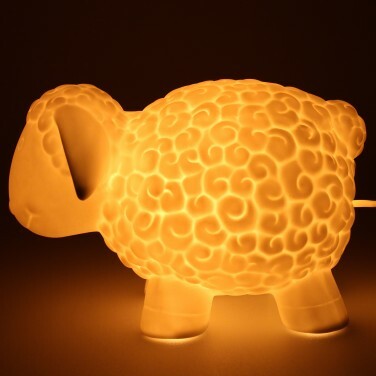 Counting sheep is a well known method of inducing sleep, and this adorable lamp gives a nod to this method as this ceramic sheep lamp makes a stunning night light for kids rooms. 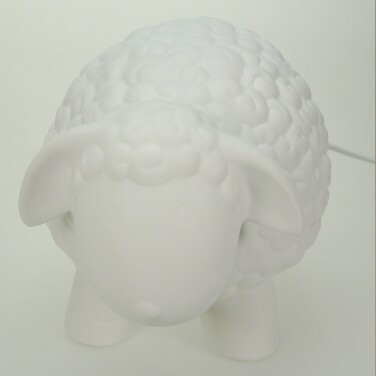 Shining with a warm white glow, this sweet sheep provides enough light for comfort and reassurance at night without disturbing sleep and makes a heart warming addition to any kids room or nursery. 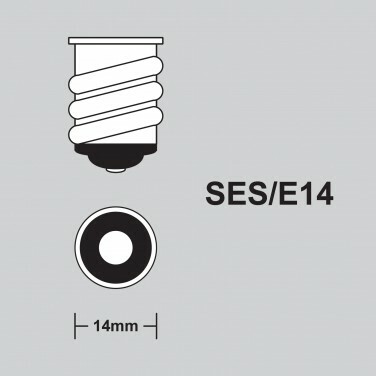 Mains operated, this ceramic sheep lamp has an inline switch for easy on/off function and is suitable for use with an E14 bulb (not included). Everyone loves a bit of Wallace & Gromit, and this microwaveable Shaun the Sheep soft-toy will quickly win the hearts of fans old and young. 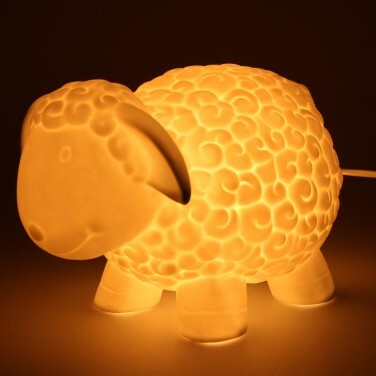 Ten sweet little sheep are lit by warm white bulbs to give a soothing glow to your child's room at night.